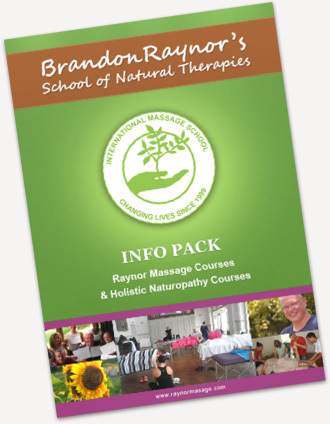 We offer Raynor Certificate, Diploma, and Advanced Diploma massage courses in Brisbane. Each course is 5 or 10 days in length, intensive, and hands-on. Our massage courses in Brisbane are an intensive, effective and experiential way to learn to massage. We offer short massage courses that teach you to give the best massages your client have ever had. They will leave feeling rejuvenated and with much less muscular tension and stress than when they came in. We teach Raynor Massage via intensive and hands-on training. This is because we know that this is what will then build you a successful career as a massage therapist. Customer satisfaction, plain and simple! If you can provide your clients with a massage that makes them feel alive, refreshed and positively transformed then you will have repeat clients and more referrals than you can deal with. If you’d like to learn more, read this quick comparison of our Diploma of Raynor Massage Therapy to the Government Accredited Diploma of Remedial Massage. Our intensive method of training suits mature people who want to quickly learn an effective and popular style of massage. You can start working as a massage therapist within just a few weeks. We have worked hard to ensure that our courses are practical and hands-on. What we want is for you to learn by massaging instead of learning theory. Our students come from around the world, and they have found our training to be enriching and of real value to their career and therapeutic practice. If you’d like to learn more, scroll down to read our reviews below from past students or watch the video below. Unfortunately we don’t have any scheduled massage courses in Brisbane for the remainder of 2018 but we do have courses coming up in other Australian cities and towns and around the world. Scroll down to see upcoming courses near you. If traveling is difficult for you, you can also request us to come and teach a massage course in Brisbane. In order to teach a course, we usually require a minimum of 4 people. See group packages for more details. You can also email us to let us know you are interested, and we’ll let you know about any future Raynor massage courses in Brisbane. We are currently holding three massage courses a year in Gympie, which is only two hours from Brisbane by car or three by train. Gympie is a great place to relax and escape from the hustle and bustle of Brisbane, however it still has all the amenities you might find in the city. Once in Gympie, accommodation is affordable, readily available and within walking distance of historical sites and local parks. Local buses operate throughout Gympie and the Cooloola Coast. 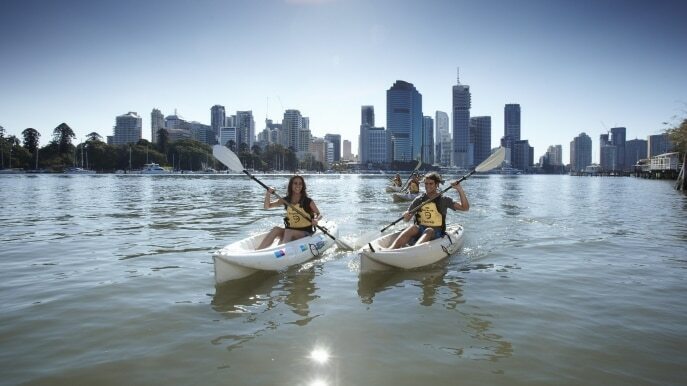 Some of the local attractions include museums, farmers markets, beautiful sunny beaches, botanical gardens, swimming with dolphins, Rainbow Beach, Australia Zoo and off-roading on Fraser Island. Our courses are a great opportunity to develop your skills while taking some time for yourself in some of Australia’s most amazing natural scenery. We also offer courses that teach other natural therapies including our Wholefood Nutrition course, a Vegan Nutrition Course, Herbal Medicine course, Ayurvedic and Chinese Medicine, Flower Essences, an Introduction to Anatomy and Physiology course and a Naturopathy course. Just finished the diploma course after two weeks. I had a beautiful and great environment of study and inriching between the student and the brandon. A great transformation and understanding about human body by the simplicity of life. Practical studing and... read moreJust finished the diploma course after two weeks. Practical studing and hands on.